The Winnipeg Wolves Basketball Club is proud to announce that former Olympian, National Team Captain, CIAU Player of the Year, CIAU National Champion, Manitoba Athlete of the Year, and 3-time Provincial Champion Martin Riley is offering one-on-one personal training for basketball players of all ages and skill levels, through his newly-launched Next-Level Personal Training initiative. As one of Manitoba’s most distinguished and decorated basketball players and coaches, Coach Riley constantly draws from the significant success he achieved throughout his career when training athletes. 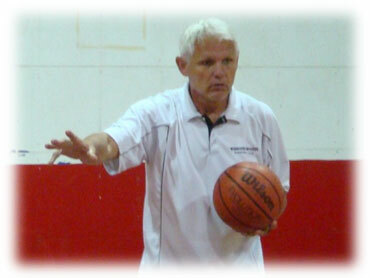 Blending his extensive high-level coaching expertise along with his substantial personal experiences as one of the most accomplished and productive basketball players in Manitoba’s history, he will instruct athletes on how to best maximize their potential as individuals and thereby achieve greater results for their team. Exceptionally qualified, both as a coach and player, Coach Riley will use each personal training session to help athletes progress in their personal skill development and comprehension of team concepts. 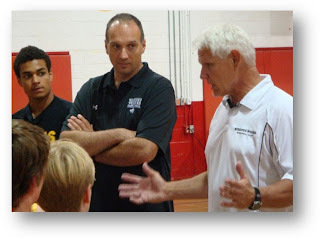 Sessions will be offered as either one-on-one instruction or group training (maximum of 4 athletes per session), with Coach Riley providing meticulous instruction to thoroughly cover extensive content, including enhancement of fundamental techniques, skill development, personal game analysis, game strategies for all positions, how to train on your own, goal setting, and nutrition. Martin is known as a coach who pays attention to detail, which allows him an astounding ability to perceive strengths and weaknesses in players and teams. Due to his insights and instruction, the players he has coached, trained, and advised over the years have come away with a true understanding of how to play the game, both as individuals and as members of a team. 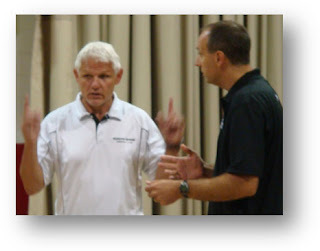 Renowned as a player for his unrivalled ability to train and focus on his own, Martin’s intensity and leadership, whether during games or practices, both on the court as a player or on the sidelines as a coach, is recognized as the trait that distinguished him from his competitors and allowed him to succeed over more talented players. Throughout Martin’s coaching career, he has demanded the same type of tenacity, dedication, and focus from all of his players and staff. Over the years, Coach Riley had the pleasure of coaching a number of players that have gone on to play university or college basketball, including Yacine Bara (U of M), Matt Molitowski (U of W), Tyler Kohut (U of W), Braden Hammond (U of W), Jon Hanec (U of M), Colin Laplante (Lakeland College), Mark Ridd (U of W), Denny Larivierre (Red River College), and Dan Penner (CIS National Champion at Carleton University). As captain of the only undefeated varsity boys’ basketball team in Manitoba high school sports history, Martin led the 1973 Sisler Spartans Varsity Boys Basketball Team to a Provincial Championship with a perfect 38-0 record, which included 8 tournament championships.